Swarup Damodaa is an eternal associate and close confidant of Sri Chaitanya Mahaprabhu. This is confirmed in Vrindavandas Thakura's Chaitanya-bhagavata. In gaura-lila, with Mahaprabhu in the bhava of Srimati Radharani, Swarup Damodar is his alter-ego. In Vraja-lila, he was Radharani's alter-ego, Lalita Sakhi. Kavi Karnapura also identifies Swarup Damodar with Sri Radha's other companion, Vishakha Devi, in his Gaura-ganoddesa-dipika. Swarup Damodar's name was previously Purushottam Acharya or Purushottam Bhattacharya. His father's name was Padmagarbha Acharya; his mother's name is not known, but her father was Jayarama Chakravarti. The family originally lived in Bhitadiya on the banks of the Brahmaputra, but later moved to Navadwipa. 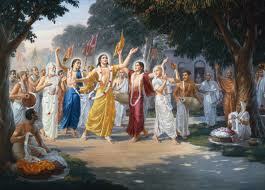 All through their childhood and boyhood Swarup was always around Mahaprabhu. When Mahaprabhu ran away and took sannyas, Purushottam became half-mad, unable to remain in Navadwipa due to feelings of separation from his Lord. He went to Benares and took sannyas from a sannyasi named Chaitanyananda Bharati, who ordered him to study Vedanta and teach it to the people in general. Sri Purushottam Acharya did not accept the dress of a sannyasi, but only gave up the sikha and sacred thread. He was given the name Swarup Brahmachari. Srila Bhaktivinod Thakura comments in his Amrta-pravaha-bhasya that this is because he "wished to avoid any danger of becoming falsely proud of the status that would come with taking sannyas. He only wished to worship Krishna without any worries." After this, taking up the order of his sannyas-guru, Swarup went to Jagannatha Puri. At that time, he again met with Sri Chaitanya. The Chaitanya-caritamrita (Madhya, 10.102-104) records this meeting as follows: "One day, Swarup Damodar arrived. His mystic awareness of the Lord's inner purpose was deep and unfathomable. He was an ocean of rasa. In connection with Swarup Damodar, Srimad Krishnadasa Kaviraja Goswami has written further: "Sri Swarup Damodar was the limit of scholarship; still, he did not generally converse with anyone. He kept to himself. He liked to remain alone, and did not see others. He was the very embodiment of Krishna-prema. He was like a second Mahaprabhu, in the sense that he fully understood the Lord's conclusions on Krishna-tattva and Krishna-bhakti, and could fully represent them. As such, whoever wanted to bring before the Lord a book, a poem, or song would first bring it to Swarup Damodar, who would examine it before the Lord would hear it. The Lord did not delight in hearing literature and song which was opposed to the conclusions of bhakti (bhaktisiddhanta-viruddha), or which contained rasabhasa, conflicting devotional mellows. Therefore, Swarup Damodar would examine these things, and if he decided that they were pure, then he would arrange for the Lord to hear them" (Cc., Madhya 10.110-114). "O Ocean of Mercy, Sri Chaitanya! Let that which easily drives away whatever pain we experience in this material world; that which is all-purifying, that which manifests the greatest transcendental bliss; that which by its sunrise casts away all the doubtful conclusions of the sastra; that which rains rasa on our hearts and minds, rules our consciousness and thus causes jubilation; that all-liberating, all-auspiciousness-giving, the limit of madhurya-rasa mercy of yours--let it arise within our hearts." Sri Swarup Damodar made his dandavats before the Lord, and the Lord embraced him, saying, "Today I saw in a dream that you were arriving here. Everything was just right. Just as one who is blind becomes happy on getting eyes, so I have become happy upon seeing you." Sri Swarup Damodar Goswami said, "O Lord! Please forgive me. Forgetting you, I deserted your lotus feet. Not having a trace of prema within me, I left your service, and being sinful, I went to a foreign land. But, although I abandoned you, you didn't abandon me. By the cords of your mercy, you have bound me by the neck and dragged me back to your lotus feet." Hearing Swarup Damodar’s words in great humility, the Lord again embraced him and said, "Sri Krishna is very kind. By his mercy we have met once again." In Puri Swarup became great friends with Pundarika Vidyanidhi. At the time of Chandan-Yatra they would play together, splashing each other with water. Swarup Damodar was also one of the chief participants of the Gundica Marjana, the cleansing of the Gundica temple just before the Rath Yatra. Swarup Damodar would sing for Sri Chaitanya the songs of Vidyapati, Chandidasa, and Gita-Govinda, and this gave the Lord much pleasure. Swarup Damodar could sing like a Gandharva, and he knew the scriptures like Brihaspati, the guru of the gods. No one was a greater soul than he. He was most dear to Advaita Acharya and Nityananda and the life and soul of the devotees headed by Srivasa Thakura. At this time Mahaprabhu would also relish his deepest sentiments about Jagannatha Deva and His Ratha-yatra pastime (see Cc., Madhya, Ch. 14). In this way, it is said that Swarup Damodar was like a second form of Mahaprabhu, in song he was like a Gandharva, and in scripture, he was like Brihaspati. Swarup Damodar was very expert in music as well as Vedic scriptures. Sri Chaitanya used to call him Damodar, becasue of his expert singing and musical skills. 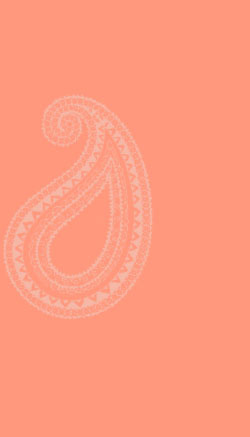 The name Damodar was given by Sri Chaitanya and added to the name given by his sannyasa guru. He was therefore known as Swarup Damodar. He compiled a book of music called Sangita-Damodara. Swarup Damodar always stayed near Mahaprabhu. Whatever mood the Lord was in, Swarup Damodar would perform kirtana to augment the Lord's internal sentiments. Around the same time that Srila Swarup Damodar came to Puri, Sri Ramananda Raya also arrived from Vidyanagara. Sri Ramananda Raya was a great scholar and poet and could explain everything in a very elegant style. 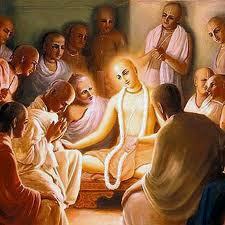 Sri Chaitanya Mahaprabhu heard rasatattva from Ramananda's mouth. In the same way that Lalita and Vishakha are the internal confidantes of Sri Radha, Swarup Damodar and Raya Ramananda are the internal confidantes of Sri Chaitanya Mahaprabhu. Kaviraja Goswami relates how Swarup Damodar is the source of the most confidential knowledge of the Lord's incarnation in Chaitanya Caritamrta, Adi-lila (4.103-5). At the time of Sri Gaurasundara's final pastimes, Sri Swarup Damodar was constantly with the Lord. Kaviraja Goswami further relates in Adi-lila that Swarup Damodar explained to him the Lord's later pastimes. Sri Swarup Damodar's right hand was Raghunatha Dasa Goswami. Mahaprabhu had earlier given Dasa Goswami into his care, calling him "Swarupa's Raghu", instructing him to be fixed in his orders, to leave behind false pleasures such as palatable food or nice dress, to always chant the Holy Name, always offering respect to others, and to take further instruction from Swarupa Damodar (Cc., Antya 6.233-8). In Madhya-lila we are told how "Swarup Damodar guarded chaitanya-lila in his treasure chest and afterwards placed it around Raghunatha dasa's neck. I have written down here what I head from Raghunatha dasa to the extent that I have been able, and now make a gift of it to devotees" (Cc., Madhya 2.85). On the day of Lord Jagannatha's Ratha-yatra, the second day of the day of full moon in the month of Ashaad, not long after Mahaprabhu’s disappearance, Sri Swarup Damodar Goswami passed away from this earth and entered into the Lord's eternal pastimes.